Sales Bootcamp, an in-person training program that helps individuals earn entry-level tech jobs in sales, has officially opened its doors to students. Recent college graduates are struggling more than ever to earn full-time, skilled jobs as the gap between higher education and the skills desired by employers continues to grow and frustrate both students and employers. According to Accenture’s 2015 US College Graduate Employment Study, only 52% of recent graduates were able to find full-time jobs and most are working in jobs that do not require a college degree. With no sales majors or sales internships, tech companies are struggling to fill entry-level positions with college graduates who understand the fundamentals of the sales profession. Nielsen has teamed up with Aaron Ross, best selling author of Predictable Revenue, to create the curriculum and training program students need in order to earn entry-level roles. Students without any sales experience can apply for a 4-week “sales bootcamp” (also the name of the company) where they will be taught the skills and steps required to be successful in the sales profession, gain real-world experience by actually selling for local tech startups, and become prepared for the hiring process. 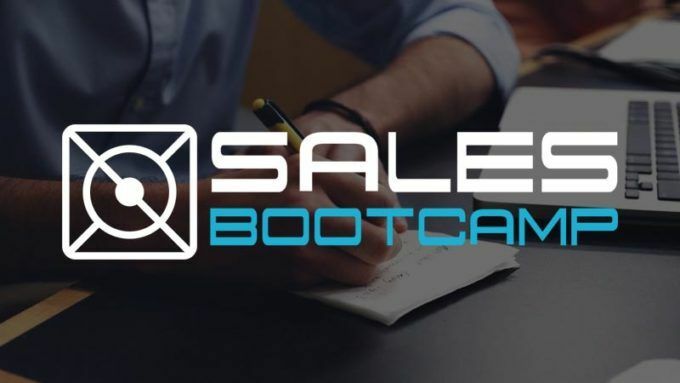 In addition to the 4-week full-time bootcamp, Sales Bootcamp offers a 2-day weekend option for individuals already in the sales profession who are looking to transition into the tech industry.